Cornwall Ontario – Ottawa Aviation Services is in expansion mode as it continues to establish a Professional Pilot Training Centre of Excellence in Cornwall at the NAV CENTRE. The company expects to invest $8 million and hire up to 55 employees over the next two years. Demand for new pilots is expected to continue to outstrip supply for the next several years, leading many airlines to look to foreign flight training programs for solutions. OAS is currently training 34 Chinese students in Cornwall to become helicopter pilots. 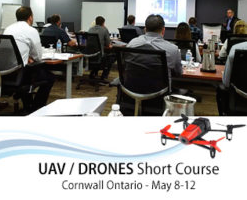 The NAV CENTRE serves as the ground school and residence for the students and instructors, while the Cornwall Regional Airport is the base for flight training. 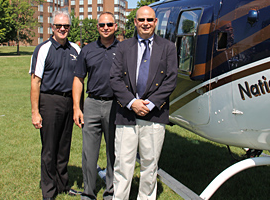 An additional 30 fixed wing students are expected to arrive in Cornwall before the summer, with a further 20 rotary-wing students by the beginning of the fall. Opportunities for Ottawa Aviation Services are not just limited to foreign markets. 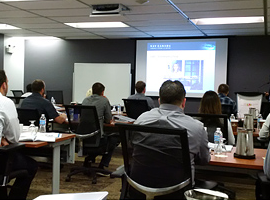 Domestically, the firm’s Integrated Airline Transport Pilot License course is a respected solution that is drawing the attention of Canadian airlines. Air Georgian recently signed an agreement with OAS to provide a gateway for pilots who work as flight instructors for OAS to be hired by Air Georgian. Air Georgian operates under the Air Canada Express banner for Air Canada, flying to 31 domestic and transborder destinations from bases in Toronto and Calgary. “This is an exciting program that will provide benefits to everyone involved,” said Julie Mailhot, Air Georgian’s Chief Operating Officer. OAS trains pilots in the skills and proficiency necessary to allow them to operate confidently in an airline environment such as Air Georgian. This includes advanced ground school instruction including crew resource management and modern jet operation, coupled with modern glass cockpit, multi-engine and aerobatic aircraft, simulators and airline partnerships. “We are especially proud of the recognition that pilots graduated by Ottawa Aviation Services are well trained and have a clear path to career success,” says Mr. Paillard. The expansion of Ottawa Aviation Services is another example of the continuing transformation of the Cornwall economy. 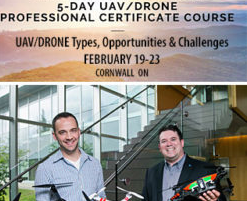 It complements the Aerospace Centre of Excellence being developed in Cornwall by NAV CANADA and Carleton University. OAS plans include ongoing discussions with community partners regarding the greater utilization of the Cornwall Regional Airport and the possibility of future expansion of OAS operations there.